It was time…we had to trade off the old trailer. It just wasn’t going to to meet our needs any longer. 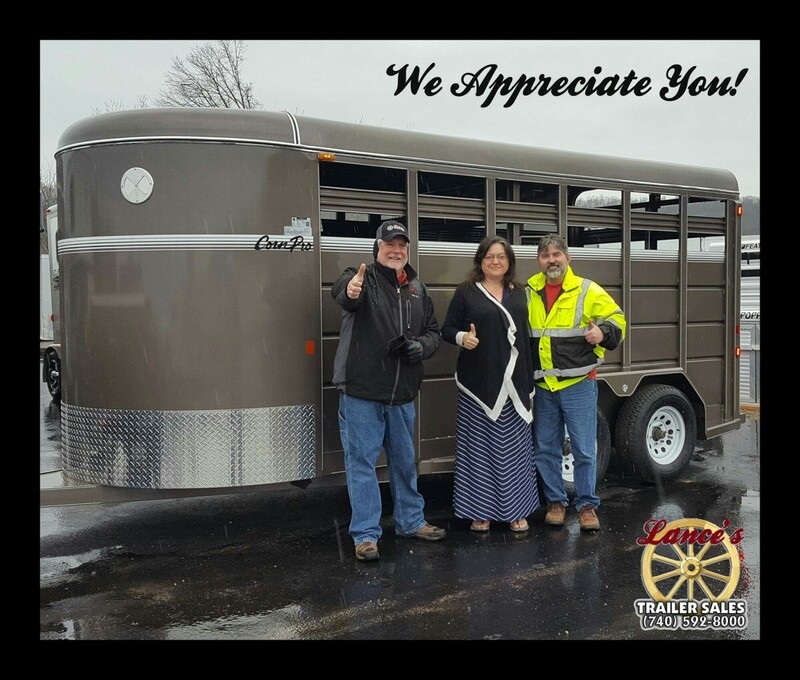 We bought this beautiful new 16′ Corn Pro to meet the growing needs of our farm, and we couldn’t be happier with our experience at Lance’s Trailer Sales in Athens, Ohio! If you need a new trailer, we highly recommend them!